Though I had no knitting mentors for most of my knitting years, my grandmothers and my grandmothers' friends, have helped me a bunch along the way. It was because of one grandmother I have knitting needles of almost every size (something that has been so, so handy) as well as various odds and ends that I have been able to use (including an old dress pin that works great as a stitch holder). 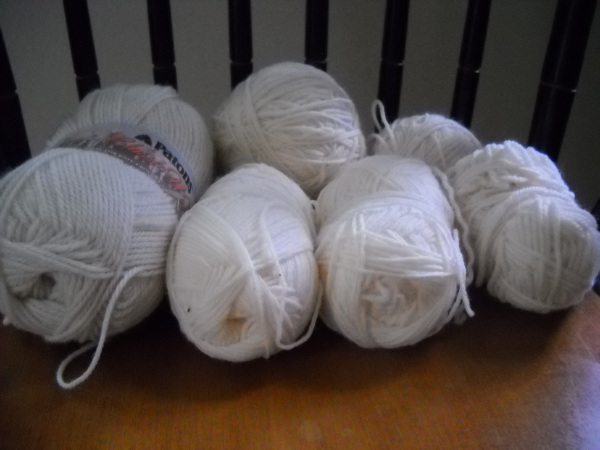 I have two stashes in my house, one is the basket of yarn I use often and have bought for special projects, or nicer yarns that have been gifted to me. Over the past five years, after my grandmother's friend learned I like to knit, she has been so sweet in bringing over bags (literally full garbage bags) or yarn. This has become the "other" stash. The volume, quite frankly, has been so much I hadn't had the chance to completely organize it until this past week. 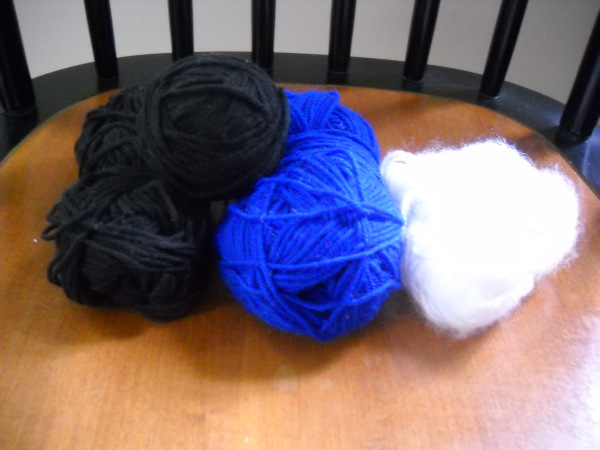 The yarn in the bags is mostly acrylic (1980s versions of red hart and carron, plus a bicentennial red, white, and blue combo of yarn), and time has done it's damage to most of the skeins. 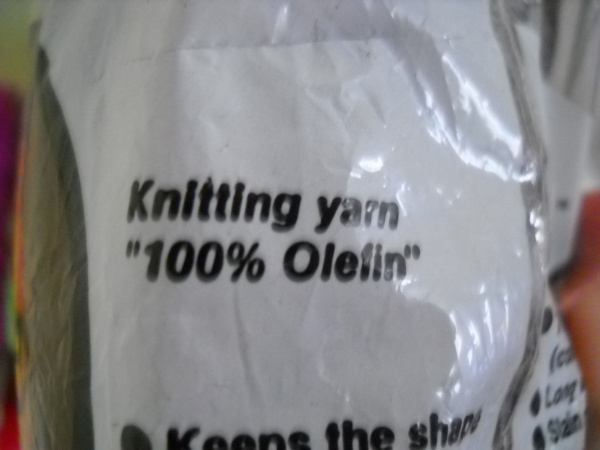 Some of them have lost their (relative) softness, sheen, or ability to withstand more than a few rows of knitting without breaking. Those, unfortunately, I had to throw out. What I had left was a huge pile of acrylic plus a few gems. 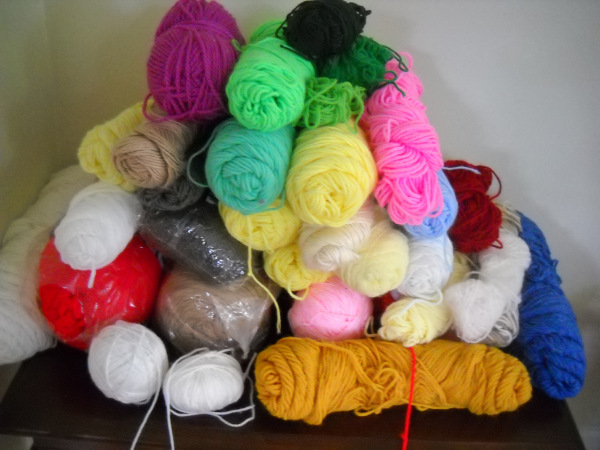 I had also been in the habit of putting leftover skeins from projects in the bags as well. I finally separated out my collection of scraps. I'm not sure what plans are yet for all this acrylic and leftovers. Though I don't consider myself a yarn snob, I really don't like having anything that squeaks when I knit with it anywhere near my skin. Maybe a bag? A chair pad? Any ideas? 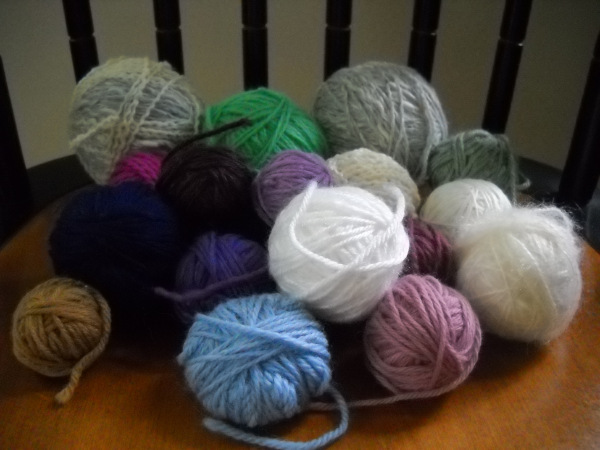 Finally, I found a bunch of un-dyed wool. Next time I'm in the grocery store I am going to pick up so Kool-Aid to hand dye these. I might try tea-dying too. What are some of your favorite stash-buster projects? You could make knit hats to donate. Winter will be here before we know it. I'm on a stash busting mission myself. Some non-wearable ideas I had: bathmats/rugs, toss pillows, and handbags. Stuffed animals might be a good one too if you have little people around. It is such a wonderful feeling to sort through the stash and organize it, it is something I've been doing lately as well. 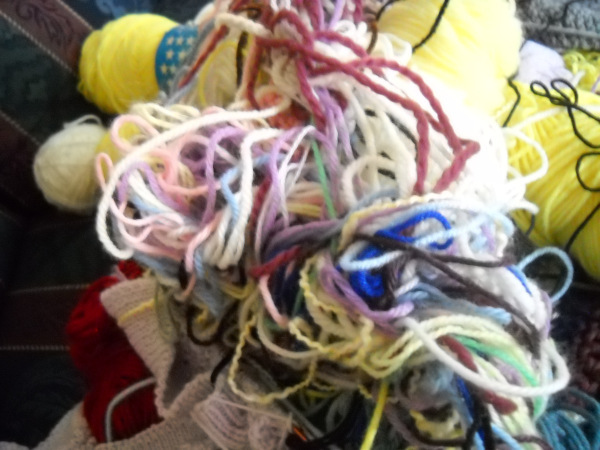 I am simply astounded that you had the patience to work through that jumble of yarn, I would have thrown it in the bag and forgotten about it again. 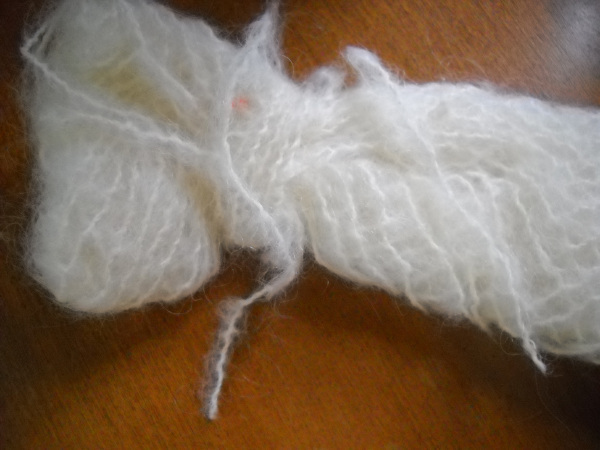 Also, a note, I would not recommend attempting to dye that yarn if it has even a small amount of acrylic in it. 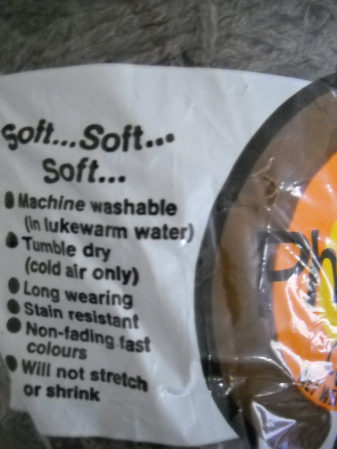 I tried it once with 50% wool and 50% acrylic with professional acid dyes...it was a huge disaster. Oh, that's a great idea! I'll definitely set aside some fun colors for that.